As the world is advancing in technology, many things we would just dream about are turning into reality. In the past decade many gadgets have been developed that make our lifestyle smarter and more convenient. From the smartphone in your pocket to that Smart TV in your living room, all are connected via the web to form an Internet of Things (IoT). If you haven’t already, now is time to convert your ‘Home Sweet Home’ to ‘Home Smart Home’ and this is where Home Automation comes in to play. Getting excited about this new technology? Let’s be clear that this technology is not at all new! Home automation has been around since the early 2010s but really gaining popularity in the recent couple of years. Let’s dive in a bit deeper and see what it is and what it can do for us. 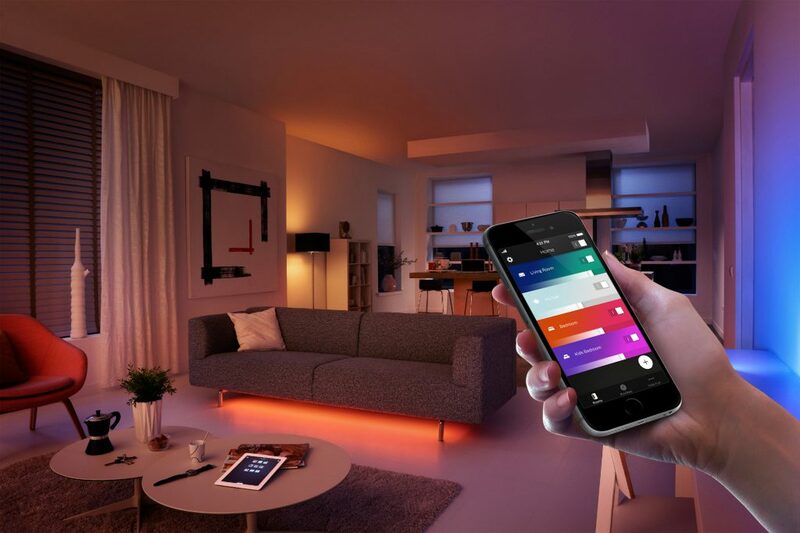 So what actually is Home automation? Home Automation allows you to control various features in your home from a central control point. These features include lighting, security devices such as cameras and door locks, smart TVs as well as smart assistants (no, not robots! not yet at least). The central control point can be your smartphone, Android tablet, iPad or a smart voice controller. like the Amazon Echo, Google Home or even Apple’s digital assistant – Siri. Wouldn’t it be nice if you could dim your lights from your couch without having to get up? How about searching and playing a TV show episode on your television set simply by speaking the name of the show out loud? How about if the heat or the air-conditioning in the house automatically adapted to the weather outside? Sounds exciting right? Well now let’s see how it works! Automation refers to the ability to program and schedule events using ordinary but ‘smart’ devices in your home connected together via a network. The programming may include time-related commands, such as having your lights turn on or off at specific times each day. It can also include the ability for your door to unlock when it senses that you’ve arrived home. You could remotely let a guest in your home even while you might be hundreds of miles away. Centralized or remote control is the second part of Home Automation, giving you manual control over all elements of your smart home. A central control panel can come in the form of a tablet you already own, your smartphone, or a dedicated control panel with physical or touch buttons. You may remember, not too long ago, there were universal remote controls you could program to control multiple devices via IR or infrared signals. Only now, we’re using Bluetooth, Bluetooth LE, Wi-Fi or proprietary protocols over wireless frequencies to do the same and much more. Home Automation brings a high degree of convenience in our lives. It could be changing the color of light to red or managing the blinds of your windows. Your smart home can automatically turn on your air conditioner or heater before you arrive home from work so that your home cools down to the preset temperature. As you enter your home, you can be welcomed by that Pandora radio station you like, and you might even have the audio span multiple rooms with a distributed audio system. The home theater can automatically dim the lights to create the perfect ambiance for a movie night. From a security camera’s peering eye to a water sensor that will alert you of a possible costly leak, an automated home keeps your property under surveillance so you can react at a moment’s notice. Your smart home can alert you if it detects motion in your house when no one is supposed to be home. It can also take pictures and send you a live feed of any activity. Pretty soon, personal protection drones can be automatically dispatched to patrol the perimeter of your property while broadcasting live video feed to a monitor. Pretty cool, huh! Another great feature of Home Automation is its energy efficiency. It saves energy by utilizing low energy LED bulbs that produce the same amount of luminosity while using less electricity. The life span of these bulbs also goes up to tens of thousands of hours meaning you would never need to replace a light bulb for the next 10-20 years! Home automation is saving energy and in-turn saving money. The major application of home automation is in the home entertainment department. A major component in home theater design, home automation can provide centralized controls for your projector, your media player, lights, playback and sound. All of these devices can also be programed to respond to a single touch or a voice command. So no need to individually turn on or turn off each device. With rapid adoption by consumers, and increasing number of manufacturers producing home automation equipment, the future where all homes have some degree of automation is not a distant reality anymore. The future is now!